I'm off to a Melbourne bloggers meet hosted by Danimezza tonight and Shock! Horror! I just realised that I'd run out of business cards. So even though I hate the idea of make your own cards, I sort of had no choice. I'm pretty pleased at how these turned out for a rush job, they are all cut a bit wonky but I think that adds to the charm! 1. 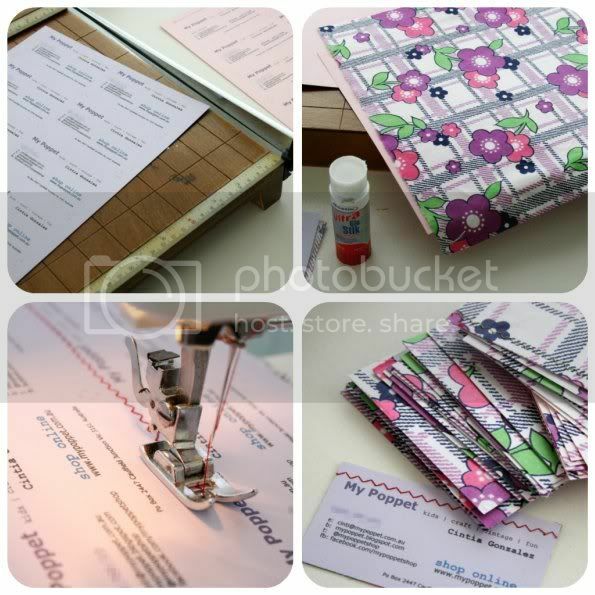 Print your business details onto some card stock. I used a free online business card generator which I won't recommend because it wasn't very good (I think it was trying to hack into my computer!). If anyone knows of a good one please leave the link in the comments. 2. Iron your chosen fabric and glue to the back of the card. 3. You can stitch some zig zag lines with your sewing machine to make it look even more crafty. 4. 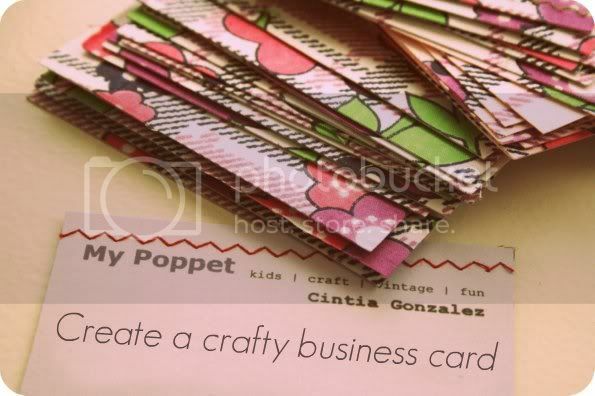 Cut out cards with scissors, blade or guillotine and you're done!